October 4, 2017, Daytona Beach, FL: 145 days, 176 flight hours logged, 32 outreach events worldwide to over 3,000 children at 30 stops, in 22 countries, across 5 continents, flying 24,816 total NM. 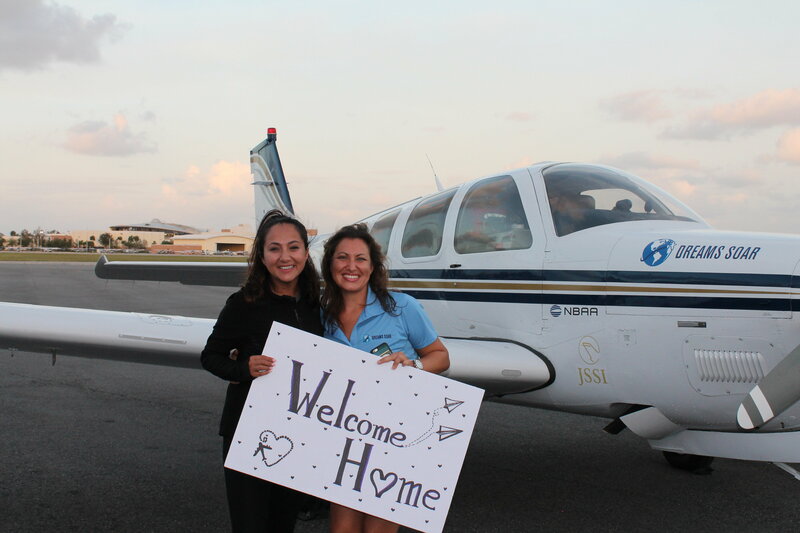 Shaesta has officially returned home after her record breaking solo global flight. 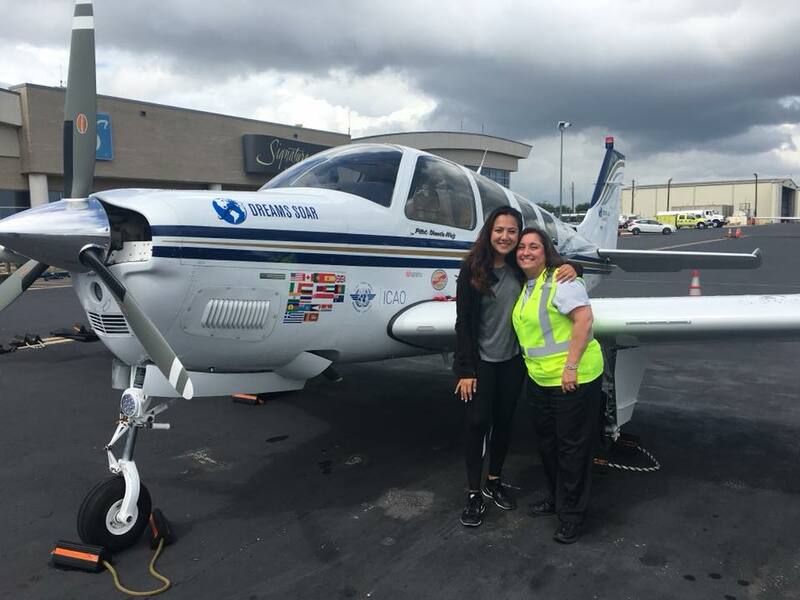 This makes her the youngest woman to fly around the world solo in a single-engine aircraft! 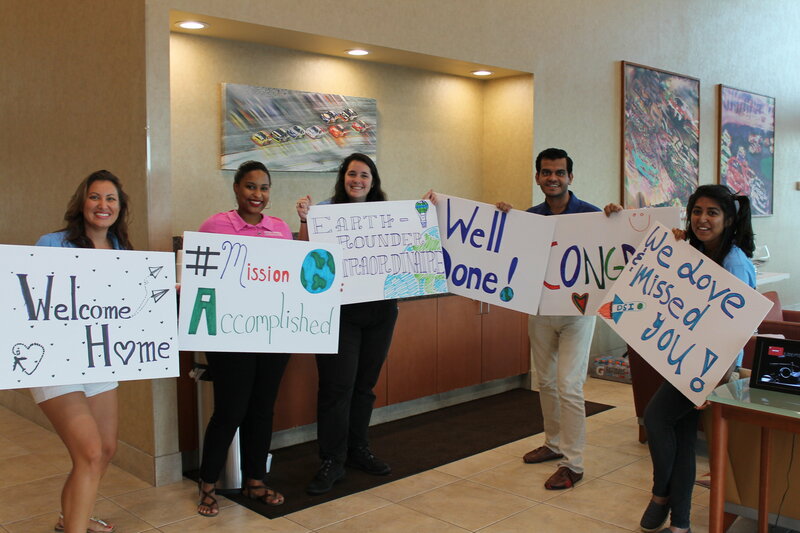 Shaesta was greeted by the Dream Team, board members, representatives of the Women’s Ambassador Program and several donors to congratulate her on a ‘Mission Accomplished’ for the Dreams Soar: Global Flight for STEM. Click here for more photos and videos from the return! 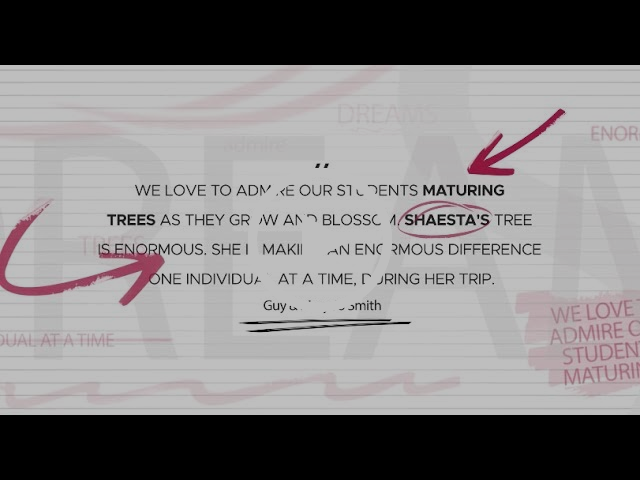 What’s next for Dreams Soar, you ask? 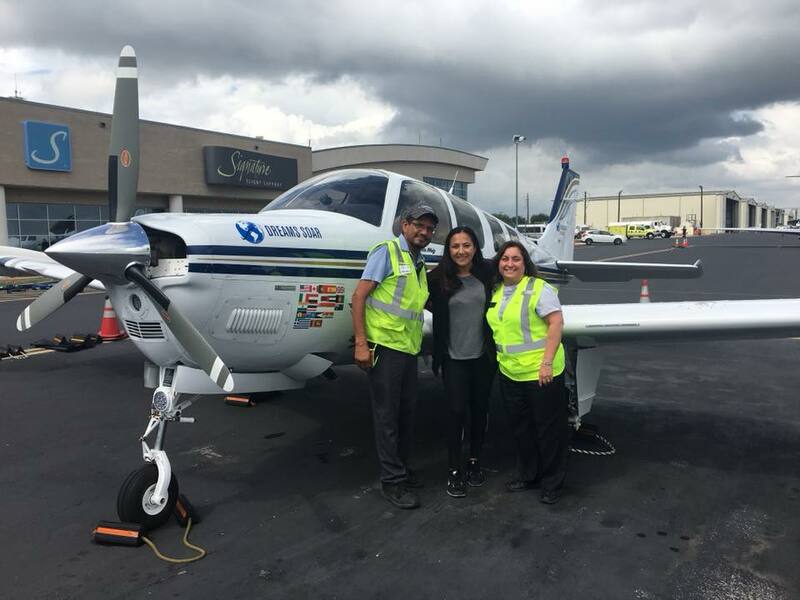 Advancing the scholarship program, ‘impacting’ those ‘inspired’ by the Dreams Soar flight mission, additional outreach efforts and a whole lot of excitement! Stay tuned for more Dreams Soar action as we approach our next phase to inspire and promote the next generation of STEM and aviation professionals. NBAA-BACE 2017: Are You Ready? It’s finally here: NBAA-BACE Las Vegas, Nv. 2017. 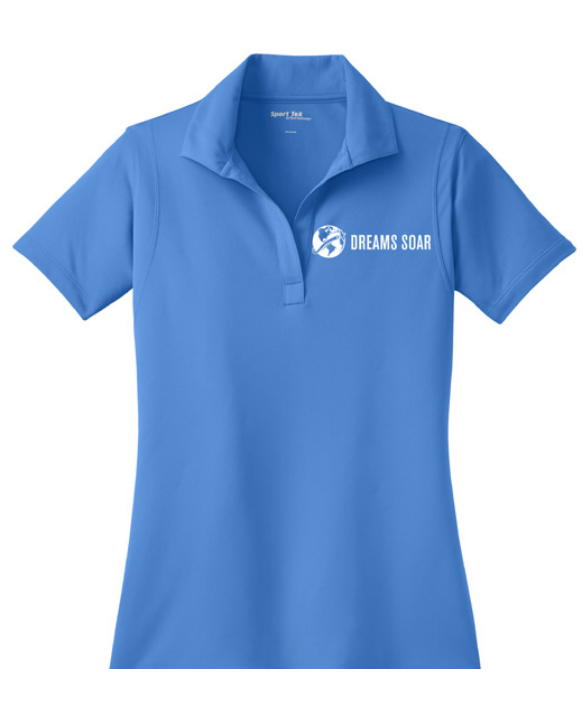 Dreams Soar will have a static display of the world-soaring bonanza, convention goers will have the chance to meet the Dream Team and Shaesta along with the announcement of the Bonanza Naming Competition Winner! What more can we ask for?! Get pumped and ready for this amazing event and watch out for what’s next for Dreams Soar! 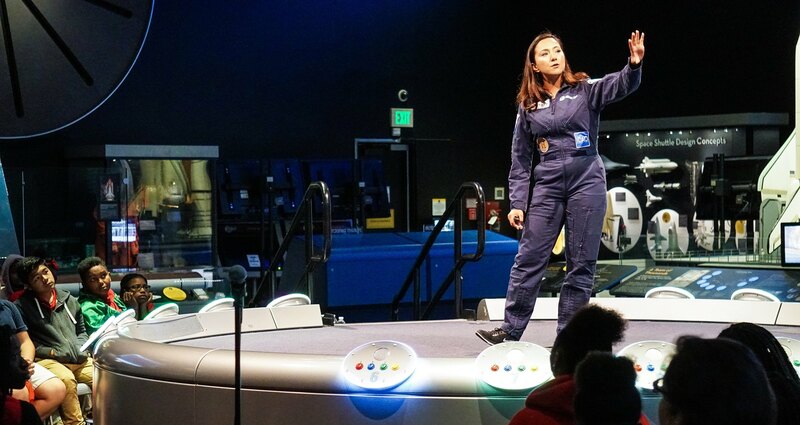 Thank you to the National Air & Space Museum, Smithsonian Institue for hosting Dreams Soar recently during our outreach stop in Washington D.C., and providing us the platform to spread our passion for science, technology, engineering, math, & aviation with over 100 young girls! The National Air & Space Museum featured Shaesta Waiz and her amazing journey on their Facebook page. Check out the amazing Facebook video here! Support the Future of STEM/Aviation Professionals Today! The portion of Shaesta’s flight to Austin, Tx. from Deer Valley, Az. is dedicated to David Robertson, who continues his generosity of Dreams Soar along our journey, and even as we launch the next chapter! 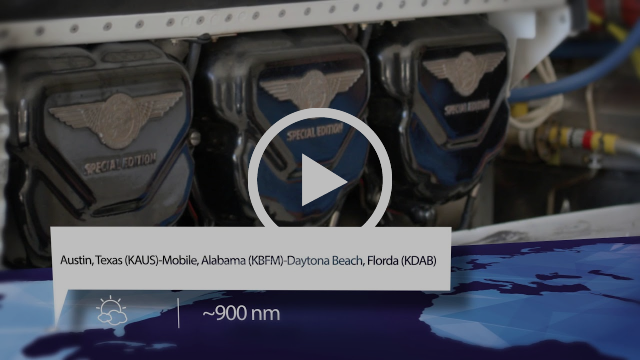 As Shaesta completed one of the final legs of her global solo flight, this portion of her flight, BTR to DAB, is dedicated to the Continental Motors Group, who’ve been a great supporter and partner of our program since our launch! 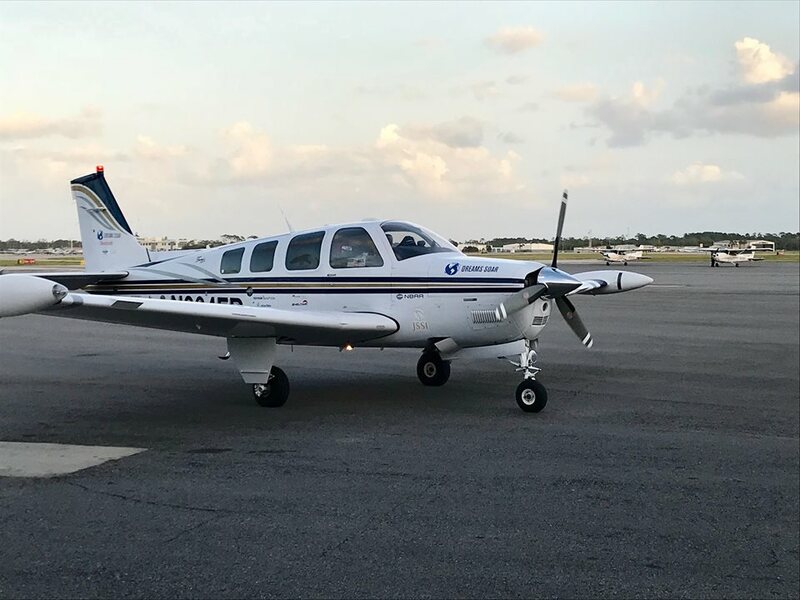 From their engine course, to their IO-550 engine, their generosity literally propelled this mission forward and kept Shaesta in the air before, during and post global solo flight. 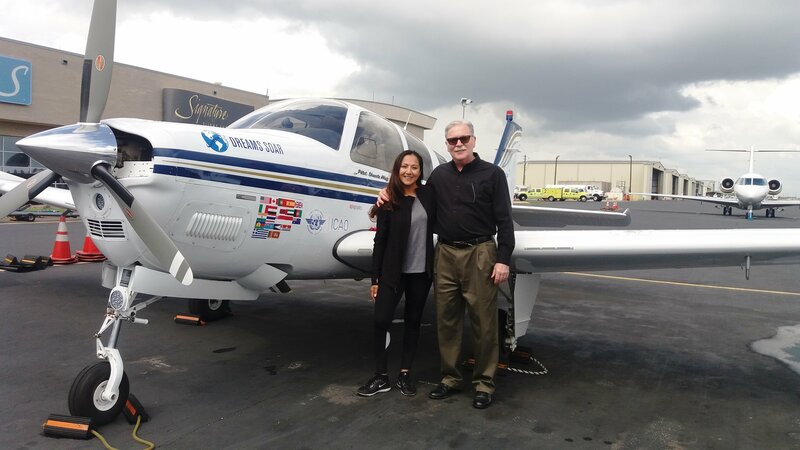 The FINAL leg of this global solo flight is dedicated to Guy & MaryJo Smith, both mentors to Shaesta and one of the first people she shared her dream to fly around the world! 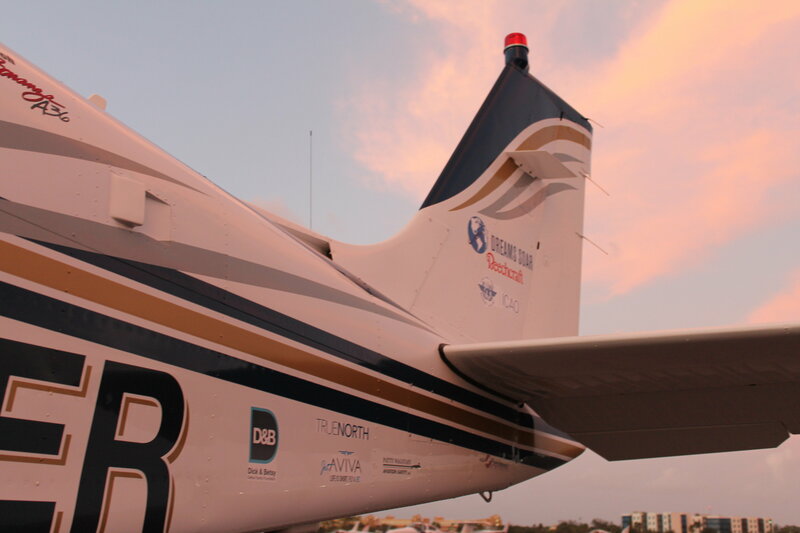 Thank you for helping us inspire the next generation of STEM & aviation professionals! 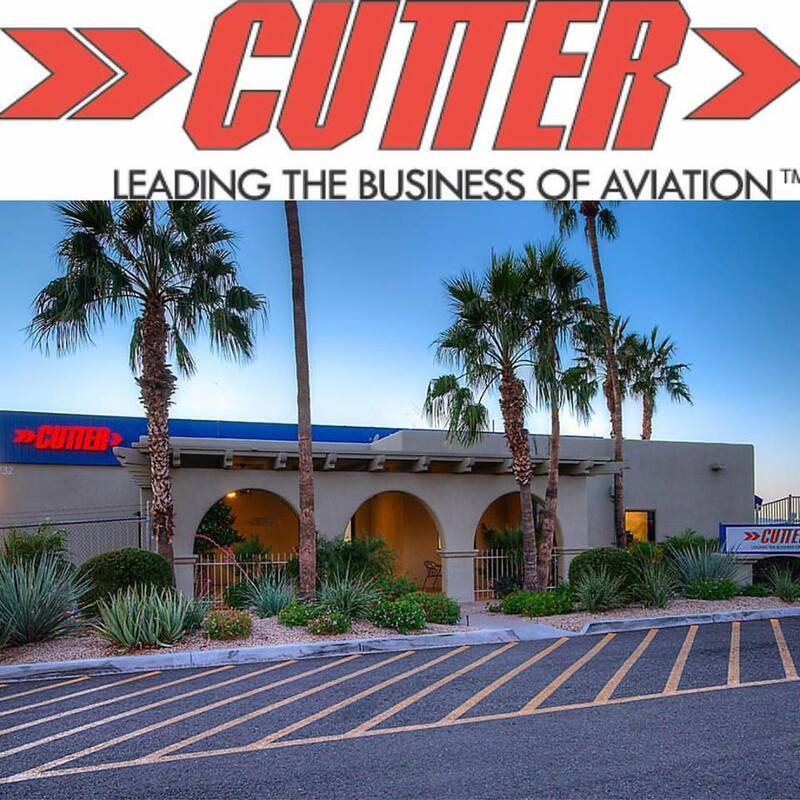 The Dreams Soar team sends a big thank you to Cutter Aviation at KDVT Phoenix Deer Valley Airport. We appreciate all of your support including services provided for the Bonanza, and direct support to Shaesta during her time there. Special thanks go to Tara Creel-Cesena, General Manager, for making everything go smoothly and for being flexible during our weather delays. Your kindness and generosity will always be remembered by Shaesta and our team! 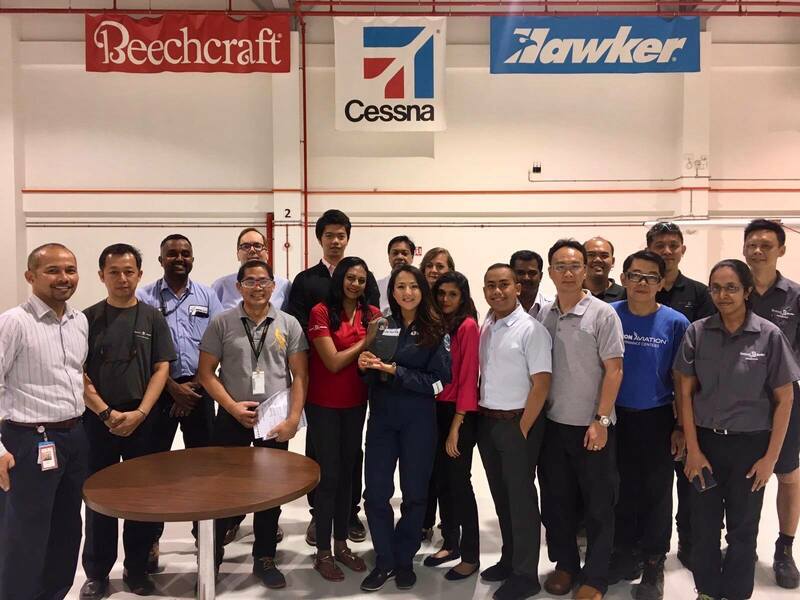 On behalf of the entire Dreams Soar team, we would like to thank AEM Group for not only polishing and grooming our ‘show ready’ bonanza during BACE, they also covered our needs for the static display! “We are not only impressed by Dreams Soar’s achievements and efforts within the industry, we have a strong belief in their mission to inspire women and help build the next generation of STEM professionals. As we all know, careers built around the science, technology, engineering, and mathematics disciplines have been male-dominated in the past. We support Dreams Soar in evening out the scales,” expressed the AEM team. AEM Group is the largest ground support equipment supplier, servicing more events worldwide than any other GSE provider. AEM also provides aircraft detailing for companies who put their planes on display at conventions just like NBAA-BACE’s. Their team does an exceptional job and we are excited to show our followers what they’ve pulled together for BACE 2017! As our newest partner to Dreams Soar, thank you AEM team, specifically Tyler Harper and Ulrich Koch. 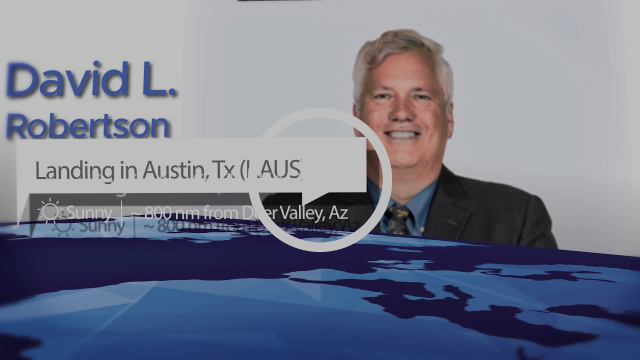 Dreams Soar extends our sincere thanks to Tod Peddie, Director of Sales and Marketing, at the Holiday Inn Austin Town Lake, for providing complimentary hotel support to Shaesta during her stay in Austin, Texas! We appreciate your hospitality and are glad you had the opportunity to visit with Shaesta and see the Bonanza! Our heartfelt gratitude to the folks at Signature Flight Support-AUS for their Texan hospitality and generosity. 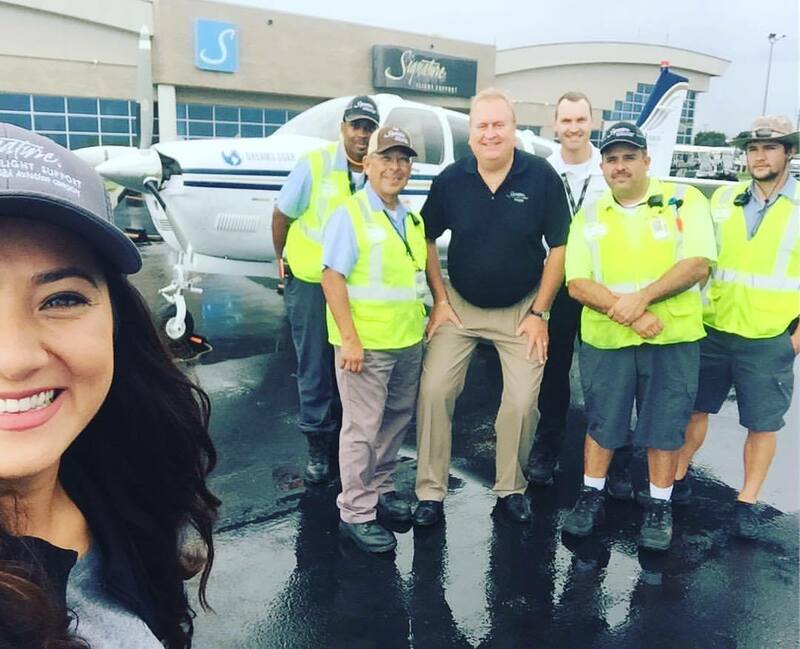 It is always a pleasure landing at a Signature FBO and we thank you for fueling our mission! Cards Against Humanity opened the application for FULL tuition for women in STEM majors through the Science Ambassador Scholarship program. Deadline is December 11. Dean Kamen, president of DEKA Research and Development Corporation, wants to shine light on kids getting into STEM careers. Kamen feels as though society glorifies sports and entertainment too much, therefore he decided to make a change. About 25 years ago, Kamen created a non-profit called FIRST which combines sports and team building techniques with STEM skills. In 2016, he proposed to have 157 teams from 157 countries to join in the camp in order to get youth excited and passionate about these careers. He reached his goal and held the camp at Constitution Hall in Washington, D.C. with exactly 157 teams from 157 countries. Check out our social media pages for more photos, videos and fun!